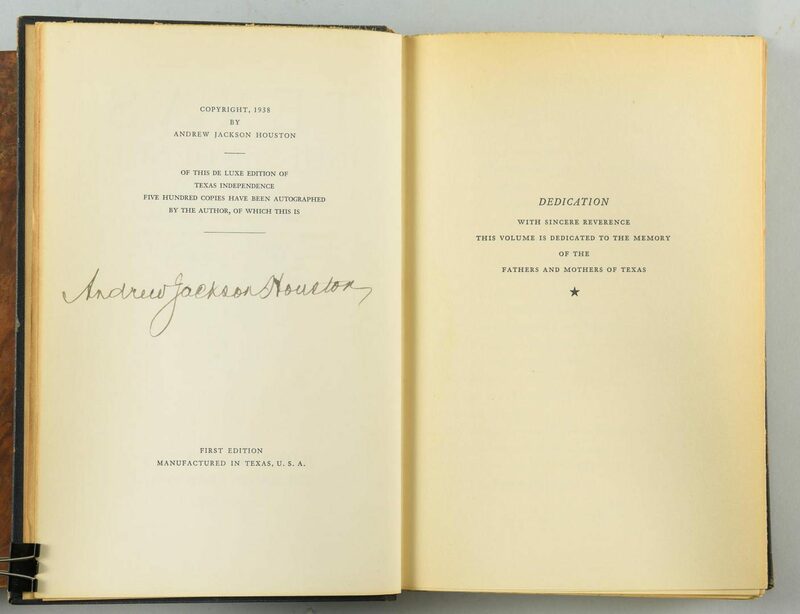 1st item: TEXAS INDEPENDENCE by Andrew Jackson Houston, Deluxe Edition, autographed on the limitations page by the author. Copyright 1938, one of 500 copies. 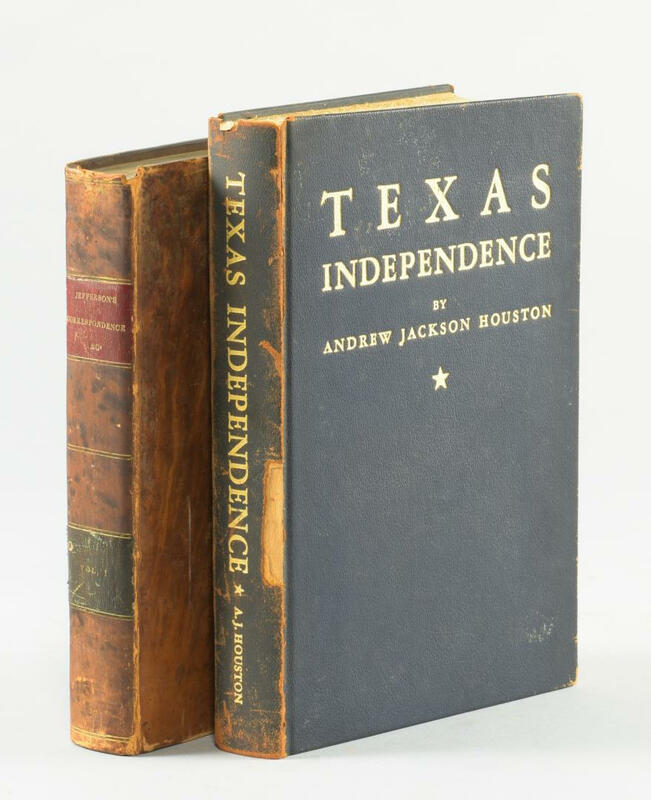 Stated First Edition, "Manufactured in Texas USA". 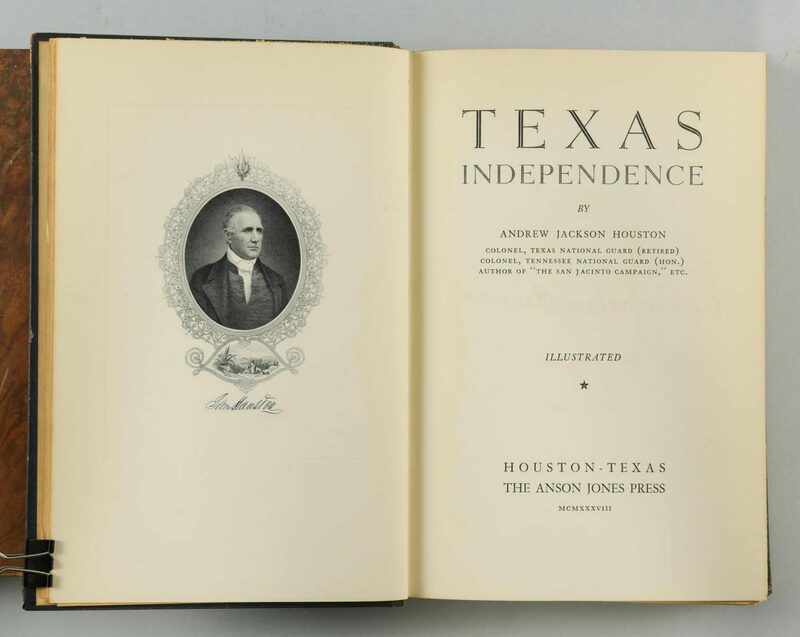 A history of Texas written by the son of Sam Houston, governor of Tennessee and first governor of Texas, portrait printed on the frontispiece. Includes General Sam Houston's Report of the Battle of San Jacinto. Black leather binding with gilt stamped letters on front and spine. 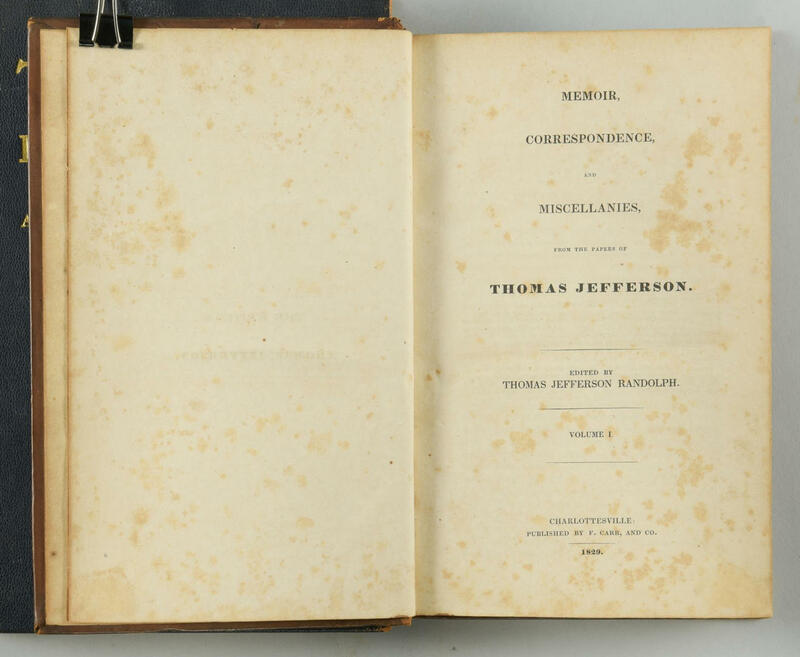 9 1/4" H x 6 1/4" W x 1 3/8" D. 2nd item: THE WRITINGS OF THOMAS JEFFERSON: MEMOIR, CORRESPONDENCE AND MISCELLANIES FROM THE PAPERS OF THOMAS JEFFERSON, VOL I, edited by Thomas Jefferson Randolph. 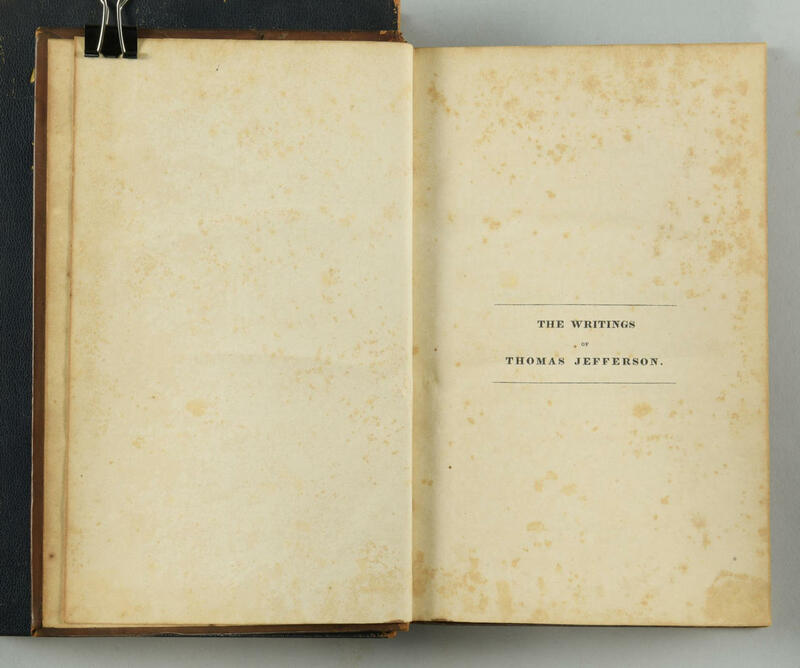 Charlottesville, Virginia, 1829, F. Carr and Co. Jefferson Clark, printer. Original binding. 8 5/8" H x 5 1/2" W x 1 1/2" D. Provenance: the estate of Capt. L. Bush Cole, Nashville, Tennessee (formerly of Texas). CONDITION: 1st item: Appears to be lacking the maps originally issued with the book. Some cracking between spine and front cover. 2nd item: Some foxing to interior pages, scratching and some edge wear to covers.